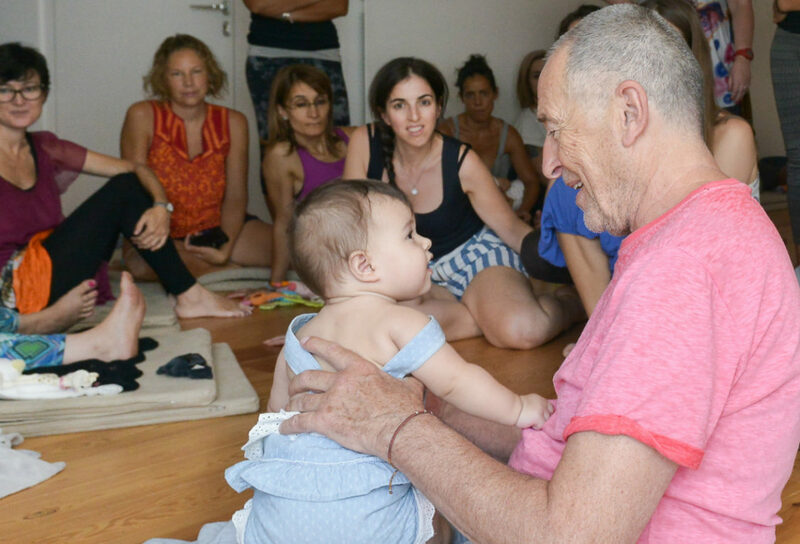 Peter Walker is coming to triyoga Camden from 12th – 13th November 2018 to run his two-day teacher training in developmental baby massage. Join him to learn unique techniques to relieve pre-birth and birth trauma and support babies showing signs of development delay in their first 1,001 days. This course is for anyone who wishes to work with mothers and babies from conception to two years of age. It is especially relevant for health professionals or carers such as neo natal nurses, maternity nurses and doulas as well as pre- and post-natal yoga teachers, baby massage teachers and anyone else working with mother and babies. If you are a parent or simply have an interest in developmental baby massage, you are also very welcome to join. Peter has over 40 years’ experience leading mother and baby massage groups and developed his unique developmental baby massage technique in the 1980s. He specialises in working one to one with mothers whose babies suffer from developmental delay and is now dedicated to training others to be able to work with the same skills. His background also includes extensive study of Iyengar yoga as well as experiential anatomy with his friend and teacher, Arthur Balaskas. 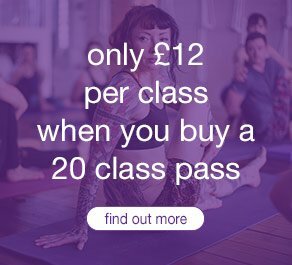 Peter worked for some ten years under the supervision of psychiatrist and author R. D. Laing, introducing yoga and massage into a number of Dr Laing’s therapeutic communities as well as Turning Point, a support centre for alcoholism and drug addiction. We met with Peter to ask him a little more about his upcoming training and what drives him to work in this field. You’ll gain the skills and knowledge to teach developmental baby massage one-to-one or in group settings, as well as a recognised teaching certificate from a well-respected international teacher. The course is accredited by FEDANT (federation of antenatal education) and IPTI (independent professional association for alternative therapists). Is yoga relevant to the course? It is, as throughout the course it’s shown how flexibility must precede strength in infant development. Children strengthen flexible bodies – therefore flexibility must come first. In the training, we look at ways of maintaining and improving flexibility as the child strengthens. This is especially important with developmental delay. However, knowledge of yoga is not necessary to attend. What is the one key takeaway of the course? That childhood stays with us for life and the first 1,001 critical days (from conception to age two) is the most formative period in a child’s development. This is something that is now acknowledged in a political cross-party agreement and there are huge emotional, physical and intellectual advantages to getting it right at this time. What skills will I be able to share after taking the course? You will be able to assist mothers with child bonding and attachment and with the attainment of motor milestones from birth to standing. You will gain a very special insight into this period of development and be able to show mothers and fathers ways to relieve birth and intrauterine trauma, as well as unique techniques to assist their child to develop and stand on their own two feet as best as possible. What drives you as a teacher? As a supportive partner, I’ve been present at the birth of my own children plus many more who have requested my attendance. I have seen first-hand the results of baby massage and birth trauma relief, both in the classes which I taught for over 15 years and in my developmental delay skype clinic. I enjoy teaching a subject that is so important to a mother and her child following birth. Baby massage has been practised in many cultures throughout the world for generations – and its benefits have withstood the tests of time. The pre- and post-natal period is a wonderful time to work with mothers, babies and families. I have worked with many thousands of mothers and babies for the past forty years, and I now have some 25 thousand teachers across the world personally taught by me. I have a skype clinic for developmental delay and through this medium I work with mothers and babies from Singapore to America. I have many films showing the wonderful changes that these mothers have made to the lives of their children. “Peter’s passion in what he does speaks volumes. This man taught me and many others about infant massage, how to do it to a great standard and not only that, he has a huge amount of experience, as a father and a master of infant massage. Not only does he teach you how to massage a baby, he teaches you how to support the family too. If you were looking for a male doula, this would be your man. I learnt many things from Peter other than massage which I still do with my clients today. If you would like to train in Developmental Baby Massage yourself, join Peter Walker at triyoga Camden from the 15th – 16th June. To find out more and book, please click here.